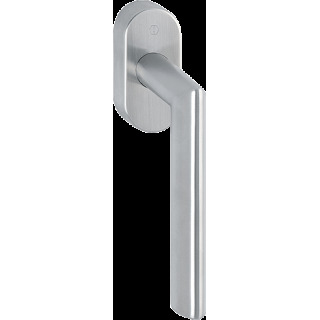 Steel tiltturn window handle Hoppe Stockholm series on oval rose. Beautiful tilt and turn window handle designed by Hoppe. It is a steel handle, therefore very resistant. Provided with Secustik burglar resistant technology. 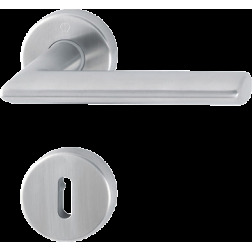 It is also available with Secusan antibacterial protection. Shipped worldwide boxed in original package.